Bartending School: Rip-Off or Valuable Training? Ads regularly appear in the back pages of newspapers and free publications offering the temptation of making big money by attending bartender school in order to become a professional bartender. The big question that every aspiring bartender really wants to know is: Should I go to bartending school? Quite simply, the answer is no. Culinary trade schools are valuable to the aspiring chef. They offer students instruction and hands-on experience in kitchens, making sauces, shucking oysters, deboning chickens, and other valuable skills need on the job. Bartending schools, however, often substitute foam wedges for actual garnishes, colored water for liqueurs, and use outdated recipes in an attempt to extract the maximum amount of tuition from students with the least amount of effort. Foam "lemons" are of no use in teaching a student how to make a real lemon twist or a 'horse's neck' or even how to flame a peel. Colored water has a different viscosity than, say, a high-sugar liqueur, meaning that it pours differently and will change the mouthfeel of a cocktail. Watch any good bartender and you will constantly see them tasting small portions of their drinks to ensure quality and test balance and drinkability. Colored water does not allow a student to actually learn how a given cocktail should taste. In many bartending schools, drink recipes are taught quickly, but the concept of how to craft a drink or instruction on drink families is nonexistent. This is vital experience and knowledge, particularly in today's bartending industry in which the bar is set higher than it ever has been and competition is even greater. Creative, original cocktails are the key to the success of many pro bartenders. Acceptance of bartending school graduates among professional working bartenders is challenging at best. Graduates are perceived to have not "paid their dues" in the industry and to have received poor instruction. A quick online search for bartending school failures will produce a satirical look at bartending school instructors poor techniques, nonexistent knowledge, and strange preparations. Job placement at bartending schools is virtually nonexistent. Graduates are given a cheap diploma and then shown the door, told to go out to local bars, restaurants, and nightclubs and apply for positions. 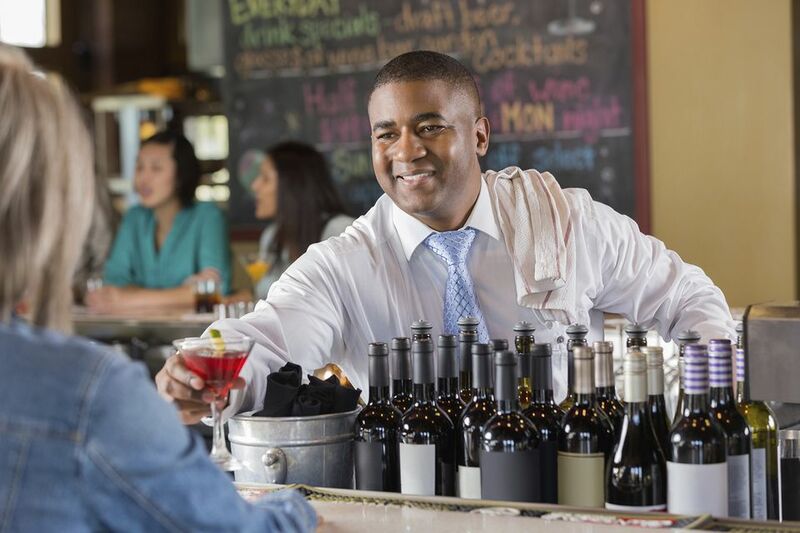 Most reputable restaurant operators will not consider bartending applicants without real-world experience. A bartending school graduate may know the most popular recipes, but they have not proven that they can handle tense situations with intoxicated patrons, count money quickly, and accurately or even produce drinks in a quick and efficient manner. All of these considerations trump any instruction bartending school may have imparted. In my experience, most bartending school graduates are turned down by the majority of establishments that they apply to. Those that do find employment often struggle to adapt to the rigors of an actual professional bar. What is the average amount of time for a graduate to find a professional bartending job after graduation? May I speak to some of your alumni about their experiences at this school? What type of job placement assistance do you offer? May I speak to some of the employers that you work with to get their opinion on your graduates? What percentage of your graduates are working as professional bartenders after one year? What training do you offer on point of sale restaurant systems? Handling intoxicated customers? Cash handling? What Is the Alternative to Bartending School? The majority of professional bartenders today worked their way up through the ranks of a bar in order to learn the art of bartending. Hands-on experience from skilled professional remains the best way to get into the bar business and almost every man and woman who works behind the bar will tell you the same. You may have to begin as a bar back, slugging ice and cases of liquor bottles around, switching empty kegs, cutting garnishes, and cleaning glasses. This is the reality. However, the experience and knowledge you can pick up by doing even the most trivial jobs in the bar are invaluable. Everyone has done their time and bartenders respect those that are willing to work hard and learn on the job. For the purposes of this article, the term bartending schools refer to businesses that offer instruction in bartending to nonprofessional bartenders. This article is not about instruction for working professional bartenders such as Beverage Alcohol Resource or BarSmarts. What Stage Is Your Hangover This Morning?